Includes digital plan. A classic cabinet with heirloom potential. In this lesson-packed video, Fine Woodworking's Michal Pekovich demonstrates the key skills and techniques required to build this authentic oak cabinet, including lessons on crafting tight-fitting, blowout-free through-mortise-and-tenon joinery, how to execute a classic ammonia-fumed finish and more. Subtitle: "All You Need to Know to Keep Your Tools Sharp". Finally, a sharpening book that keeps it simple: there's no 'right' way to sharpen; only your way. In this complete guide, you'll learn everything you need to know about the many methods, tools, and accessories for successful sharpening so you can confidently select the one that works best for you. And, for inspiration, you'll get a look at the sharpening stations of some of America's top craftsmen, including Sam Maloof, Norm Abrams, and James Krenov. A well known work by Krenov, this is the first in a series of four books written about the art and craft of cabinetmaking. Very good. Quite inspirational. Paper. This was the final book in Krenov's trilogy. It is an in depth, personal look at the "do's and don't's" of creating fine furniture. This is both an educational and philosophical treatise. 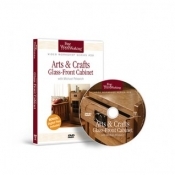 Cabinetmakers of all levels will be inspired by Krenov's understanding of the craft. This is one of the trilogy of Krenov's woodworking books. He discusses coopered doors, joinery, frame and panel work, selecting and preparing wood. This is the only one of Krenov's books that is substantially a "how to" book.